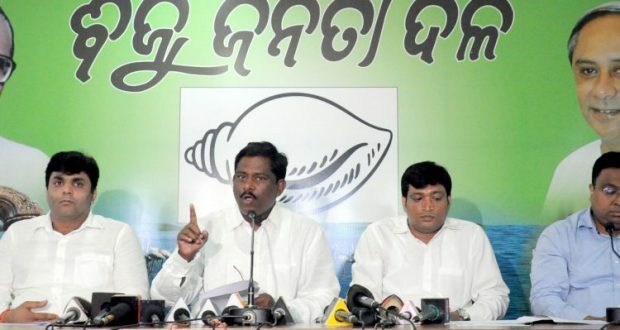 Bhubaneswar3/11/18:: Protesting the alleged callous attitude of the Centre towards the youths of Odisha, the Biju Janata Dal (BJD) will stage peaceful demonstrations in front of all central public sector undertakings (PSUs) across the state for three days from November 5. “While the central PSUs are earning profits to the tune of crores of rupees in Odisha, they are showing the apathetic attitude towards the youths of the state. National Aluminium Company Limited (NALCO) has doubled its profit this year, but did not generate any employment opportunity in Odisha,” the BJD said in a press release. Protesting the callousness, the students and the youth wing of BJD will stage peaceful demonstrations in front of all PSUs across the state on November 5, 6 and 8 from 10 am to 12 pm.